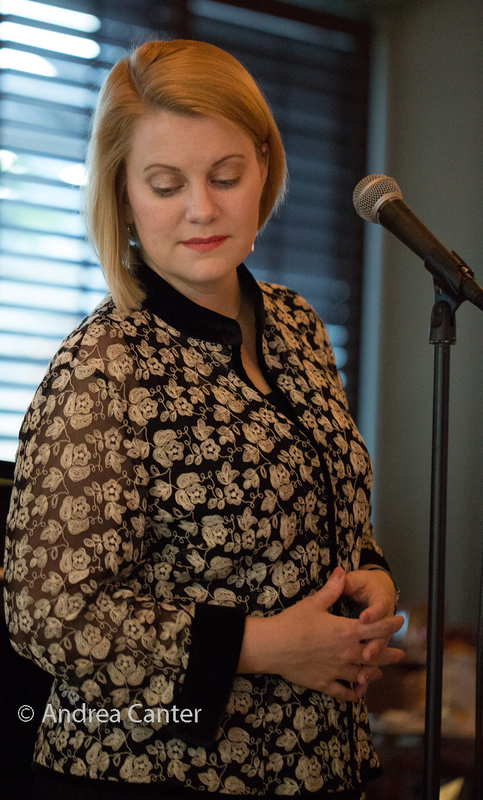 Since her first years singing in Twin Cities clubs, often in duo with vocalist Arne Fogel, Maud Hixson has explored great songs –familiar, forgotten or virtually unknown, largely from the 1920s-40s. 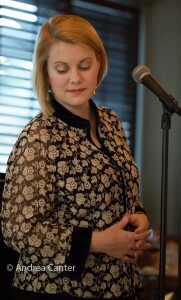 Over her career, Maud has co-founded the continental jazz sextet French 75 with clarinetist Tony Balluff, appeared at the Guthrie Theater (with vocalist Erin Schwab) in the Noel Coward revue Coward’s Women, and appeared in multiple theater productions with Arne Fogel (including the popular Crosby-Clooney Story). 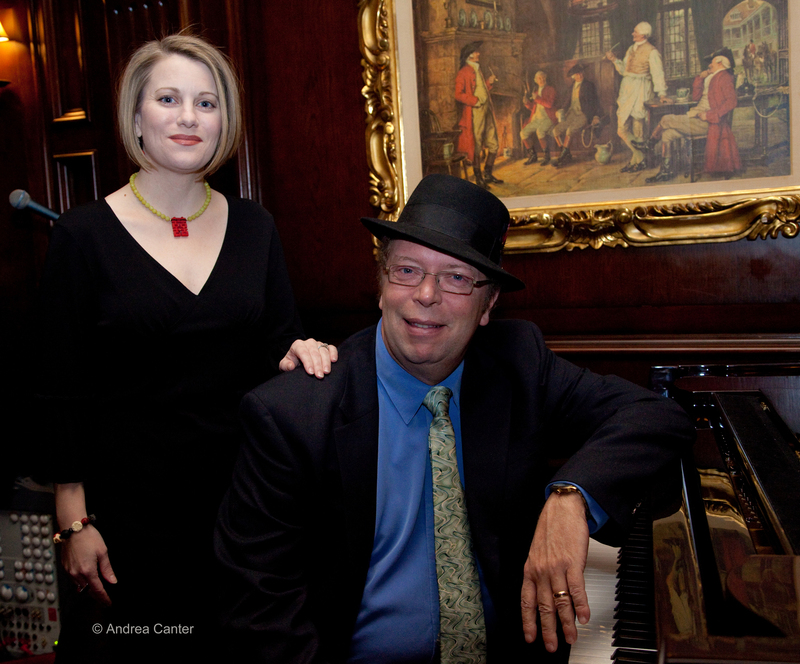 Two Artist Initiative grants from the Minnesota State Arts Board fueled a solo cabaret show, Mickey and Maud: The Songs of Michael (Mickey) Leonard, presented in December 2008 at New York City’s oldest cabaret, the Duplex; the music was captured on her 2013 release, Don’t Let a Good Thing Get Away, named one of the year’s top local recordings by the Star Tribune’s Critics Tally. Other appearances in New York City have included a Mickey Leonard tribute at Manhattan’s Metropolitan Room, a concert with Sir Richard Rodney Bennett on the long-running Midtown at Midday series at St. Peter’s Church, and a gala revue at Rose Hall (Jazz at Lincoln Center) for the New York Cabaret Convention. Maud will return to Rose Hall in October 2016 in a tribute to singer Sylvia Syms, hosted by Rex Reed and presented by the Mabel Mercer Foundation. 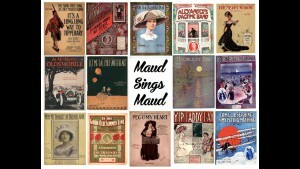 Maud has also performed her Skyscraper Wits, a tribute to the great songwriters, in New York and London. 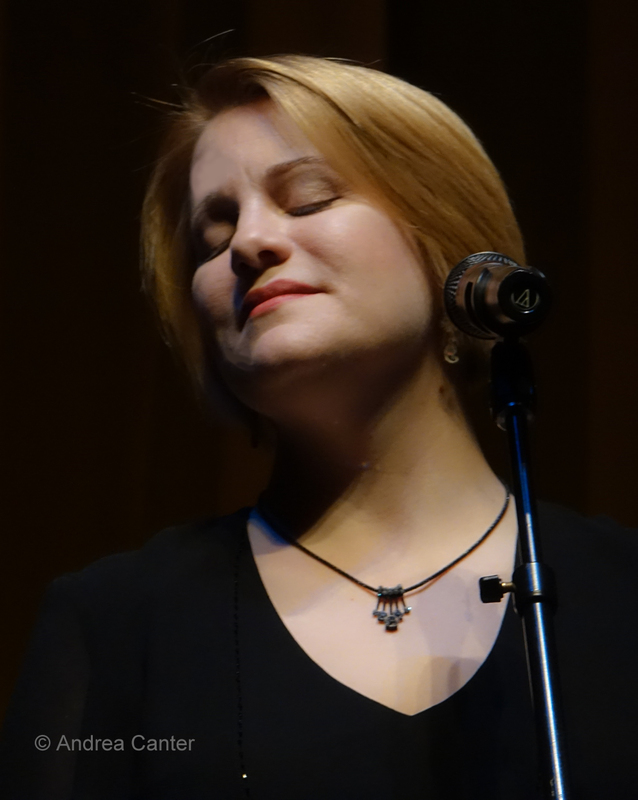 In addition to her Mickey Leonard project, Maud’s discography includes a duo recording with Arne Fogel, Let’s Not Be Sensible (2005), and a duo CD with husband Rick Carlson, Love’s Refrain (2007). 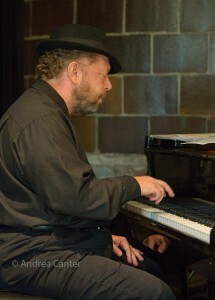 Since 1980, Rick Carlson has held the piano chair for the Wolverines Jazz Band and Trio. And throughout the past 30+ years, he also has headed his own quartet and has been a favorite accompanist for area vocalists. 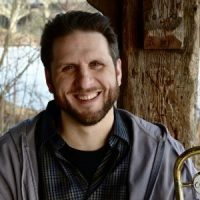 Rick first learned trumpet from his father, and initially resisted learning the piano when given lessons at age 12. 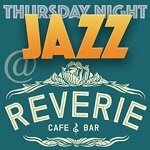 Ultimately he taught himself to play by listening to the canons of Count Basie and Duke Ellington. 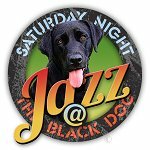 In addition to his role with the Wolverines, Rick plays with the Twin Cities Seven; has opened for Rosemary Clooney; backed Kathryn Crosby, Wynton Marsalis, and Butch Miles; has recorded and/or played with Charmin Michelle, Sue Tucker, Arne Fogel, Judi Donaghy, Nichola Miller and wife Maud Hixson; and has served as pianist/arranger/music director for a number of productions, including the Legends series at the Capri Theater, Coward’s Women at the Guthrie, and Evan Christopher’s Clarinet Road at the Hopkins Center for the Arts. Background. Like many youngsters, particularly in the Midwest, Maud Hixson grew up reading the beloved stories by Maud Hart Lovelace, a series of books published between 1940 and 1955. 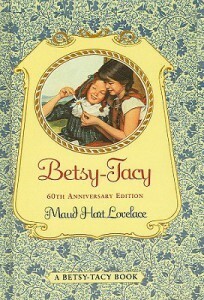 Based on her childhood in Mankato, Lovelace created the stories of fictional friends Betsy and Tacy, following their adventures from the 1890s through World War I. Over the series, Lovelace references over 200 songs, including hits by Irving Berling and Jerome Kern, some which the sisters sang or songs that simply provided the musical soundtrack of their childhood. 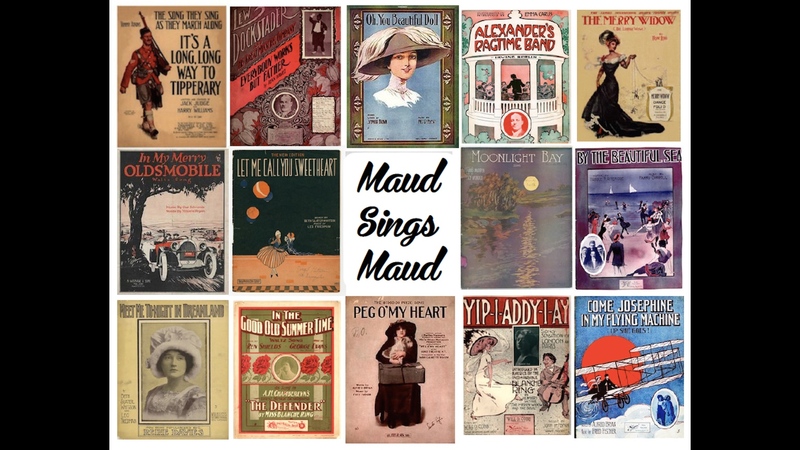 The Maud Hart Lovelace Society and the Betsy-Tacy Society have helped to preserve the histories as well as songs from these books and supported Maud Hixson’s interest in bringing this set of songs to life, in part through a successful Kickstarter campaign. 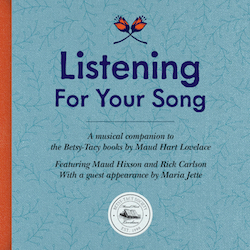 “I always wondered what the songs sounded like, so it’s been a delight for me to finally sing some here,” says Maud Hixson in the liner note to Listening For Your Song. 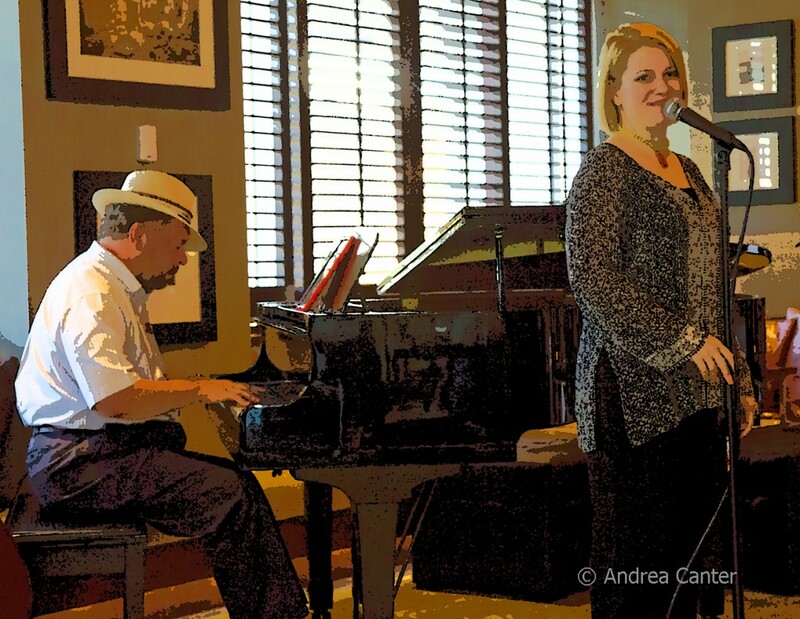 Preserving the sounds of the time period was crucial to the project, and while some of these songs can be found in contemporary repertoires (e.g., “The Good Old Summer Time,” “Alexander’s Ragtime Band,” “It’s a Long, Long Way to Tipperary”), Maud and Rick also wanted to preserve the original sounds and arrangements of these songs. In writing the arrangements, Rick sought out original and same-period recordings to the extent possible — not easy given that the first recordings did not appear until the latter years of the Betsy-Tacy stories. The recording. With special guest, soprano Maria Jette (VocalEssence, Prairie Home Companion), appearing on one track (“The Cat Duet”), Maud and Rick recorded 20 of the songs from the Betsy-Tacy trove under the engineering expertise of Steve Wiese and Miles Hanson at Creation Audio in Minneapolis. Other than “Merry Widow Waltz” which serves as the backdrop for the opening track (Maud’s spoken overview of the project), the sequence of songs follows their presentation or reference in the series of books, thus a chronicle of the childhood and adolescence of Betsy and Tacy, making this not only a song cycle, but a sonic novella of growing up in the early 20th century. There may be some artistic risk in presenting songs from a relatively short time period as inevitably there are similar melodies, harmonies, and themes, but Rick and Maud manage to give each song an individual sound, even when the rhythms and notes seem consistent across tunes. 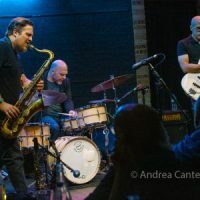 Yet there are of course common themes, connecting threads of parallel storylines across the album in a sequence that mixes longing and wistful moods with humor, light-hearted pastimes, and optimism, even in the face of economic and social uncertainty. The songs. Love–unrequited or thwarted by circumstance–is a persistent theme, from the lost love of “Dreaming” where Rick adds to the dreamscape with some florid Chopinesque cascades and aching longing of “I’m Lonesome for You,” to the beautiful, wistful ode to “My Wild Irish Rose” and memories of “Moonlight Bay.” “It’s a Long Long Way to Tipperary” and the closing “There’s a Long Long Trail” not only emphasize the “long” way to find one’s lost or separated love, but present what seem to be two sides of the same life struggle (using similar melodies)–the former facing separation with more upbeat determination, the latter more introspective, perhaps more symbolic recognition of the challenges of relationships, as the context — in Betsy-Tacy terms — is friend Tib’s wedding. Several songs stretching over the years present men as untrustworthy, if exciting, scoundrels stepping out on their wives with the “same old story” –from humorous rationalizations (“I’m Afraid to Come Home in the Dark”), the more sophisticated tale of the “double life” in “Same Old Story,” to the almost irresistible pull of an affair “By the Beautiful Sea,” where a cad’s manipulation of both wife and lover is nearly obscured by the lure of a “good ol’ summertime” seaside romance. Music is not only a popular pastime during this era, it’s regarded as a powerful collaborator in finding love, with two songs notably paired in sequence: “Yip-I-Addy-I-Ay” is a silly song about a cellist and the girl who loves his music (Maud notes this was a song Betsy was able to play on a visit to the country), while the power of Irving Berlin’s “Alexander’s Ragtime Band” provides a context for a guy to woo his girl. Listening for Your Song includes more openly humorous tunes. “Everybody Works But Father” seems perfect to accompany a vaudeville act, the tale of a ne’er-do-well dad who sits around while the rest of the family works. And a song that Betsy and Tacy performed at school recitals, “The Cat Duet” –no lyrics, just meows– is arguably attributed to Rossini (there is some debate as to the actual origins of the music), but there is no argument that it’s a hilarious interlude. Maud starts out solo although she manages to conjure a choir of playful felines, Maria joining in and by the end of their two minutes, you’re in the middle of some very realistic (and very disturbed) and shrieking catcalls. And if there is a third cat here, it’s Rick Carlson. A tune that would fit as a finale save it’s chronological placement as a song preferred by the sisters fellow high school graduates, “Tonight Will Never Come Again” is like a summation of their era and their childhoods — and the era and childhood of every listener. Because Maud Hixson, like Maud Lovelace, is such an effective storyteller, it’s easy to get caught up in the lyrics and the stories and take her subtle but penetrating delivery for granted; similarly, because Rick Carlson’s arrangements and piano accompaniment fit the stories so well, it’s easy to forget just how critical his music is to allowing the stories to live and breathe, and reflect the sounds of their time. It’s their partnership on Listening for Your Song that allows us to really hear the times of Betsy and Tacy and the songs that defined their young lives. Although these days will never come again, Maud and Rick help us enjoy and savor those moments. The CD can be ordered from the Betsy-Tacy Society website. 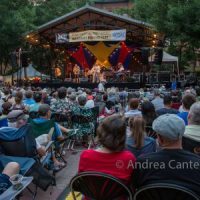 A portion of the proceeds from album sales will go toward the Society and their mission to keep Maud Hart Lovelace’s legacy alive.